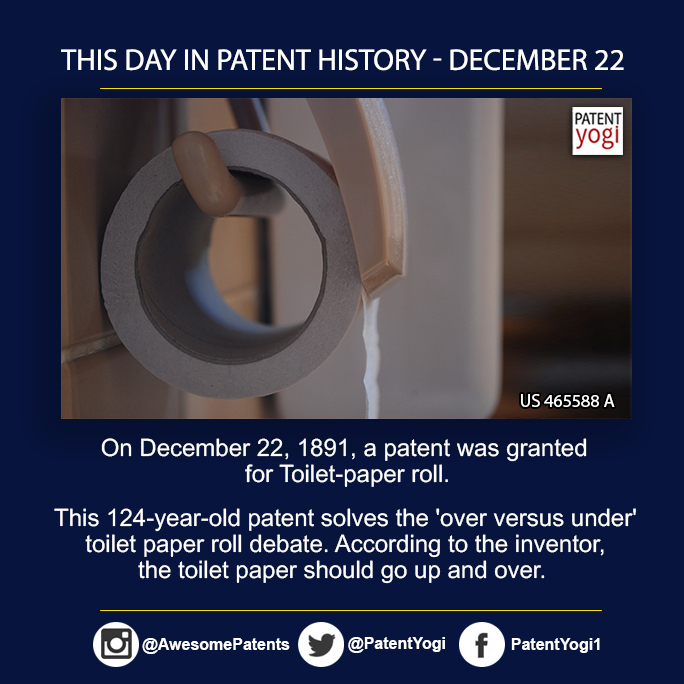 On December 22, 1891, a patent was granted for Toilet-paper roll. This 124-year-old patent solves the ‘over versus under’ toilet paper roll debate. According to the inventor, the toilet paper should go up and over.